Labor rights are under threat at an electronics parts supplier to Apple and car companies Delphi, Mitsubishi, Hyundai and Lamborghini, among other big companies. The bosses at NT Philippines Inc., a Japanese-owned company in the biggest export zone in the Philippines, are trying to bust the newly formed union. The union president has been removed from the factory and assigned to a sister company located miles away. Other union officers have been transferred to another plant of the factory in a bid to isolate them from fellow workers. Workers are being harassed and intimidated, and told that the company will close once its customers know of the unionization. The labor union at NT Phils. calls for solidarity from its brothers and sisters in the international workers movement. Likewise it calls upon Apple, Delphi and other electronics and automobile manufacturers that source parts from NT Phils. to uphold their supply chain code of conduct and commitment to freedom of association. In response to union busting, the union has initiated a complaint at the Labor Department and is demanding the return of the union president and other officers to their former assignments, a stop to the campaign of harassment and intimidation, and other forms of management interference, and a public declaration of NT Phils. to respect freedom of association. Workers formed a union in order to better their working conditions and have a voice in the workplace. But they now face a concerted effort by the bosses to derail unionization to keep wages cheap, jobs insecure and workers docile. This is the first serious test of freedom of association under the new administration of President Rodrigo Duterte. The Philippines has recently come under scrutiny by the International Labor Organization for violation of Conventions 87 and 98 on the right to organize and bargain collectively. NT Phils. Inc. has some 900 regular workers but including contract employees, has a total workforce of more than 1,000. 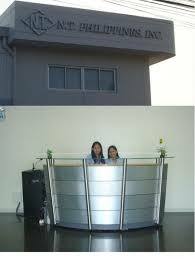 It is located at the Cavite Economic Zone, the largest state-administered export zone in the Philippines. The factory produces flexible printed circuits for use in cellphones, spark plugs and other car parts. The mother company is Nampow Trading Company of Osaka, Japan. NT Phils. exports to China, US, Japan and Korea. Integrated Micro-Electronics Inc., part of the Ayala Group of Companies in the Philippines.